Could this be the most beautiful hotel in the world? Sumptuous Aman luxury and Venetian canal-side romance make for an intoxicating mix at this oasis within the Floating City. 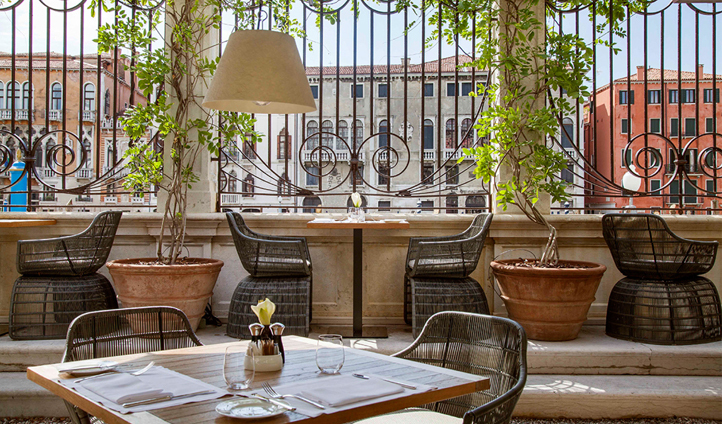 Set within the 16th century Palazzo Popodopoli and overlooking the Grand Canal, the 24 rooms of Aman Venice are perfectly poised for exploring this enchanting city. After a day spent chasing canals, the spacious light-filled rooms, two private gardens and signature Aman Spa are a welcome respite – and a rarity in this tightly-packed city. In a city made up of 118 small islands, set amongst winding canals and arching bridges, boat-travel is the only way forward. After touching down at Marco Polo International Airport, you’ll board a private boat and spend just 35-minutes flying across the lagoons. Then, as you cruise down the Grand Canal, look out for the bright blue post which marks your arrival at Aman Venice. Standing proud in the heart of the city, Venice’s most beautiful sights are all just a quick stroll, or gondola, away. No matter what category of room you choose, period pieces and original architectural details bring the palazzo’s romantic heritage to life. It’s opulence all the way here, with king-sized beds and contemporary furnishings perfectly complementing chandeliers and chinoiserie. We particularly love the Sansovino Stanza, where the 16th century fireplace, wood-panelling, painted frieze and carved ceiling evoke a sense of traditional Venice. Whilst for views of the Grand Canal, the Maddalena Stanza is unbeatable. Yes, Venice is beautiful at any time of day but, in our opinion, it’s at its best in the shimmering light of dawn. There’s simply no better way to start the day than gliding down the canals as the city awakes, armed with an Aman breakfast basket. For an equally exclusive end to your day, the ever-obliging hotel concierge can even arrange an exclusive after-hours visit to the grand Palazzo Ducale, the former home to the Doge. 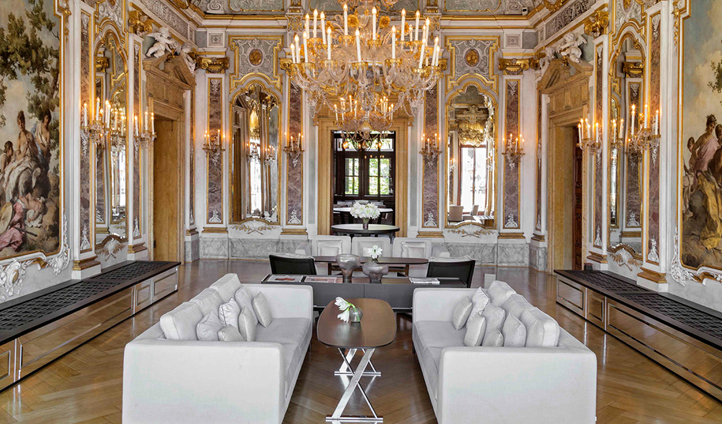 A stay at Aman Venice is a true taste of the royal treatment.